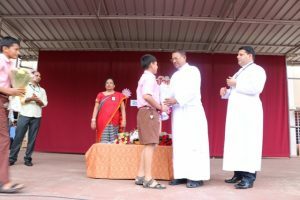 Each sunset gives one day less to live but each sunrise gives one chance to live better. 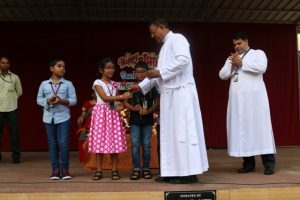 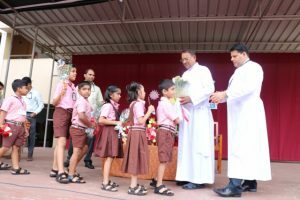 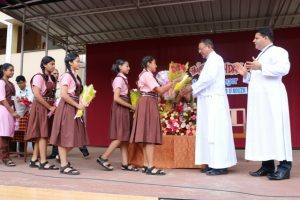 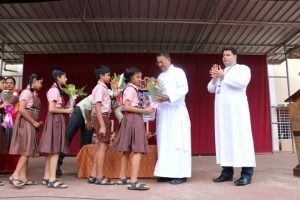 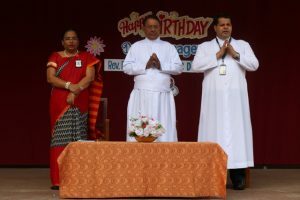 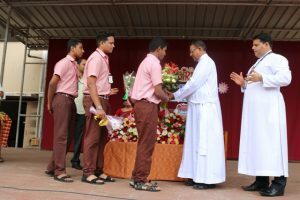 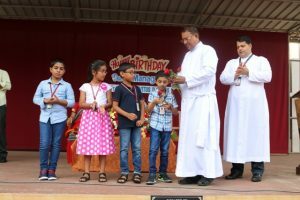 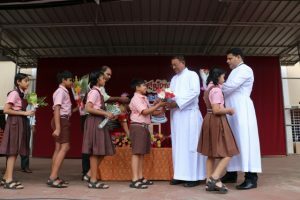 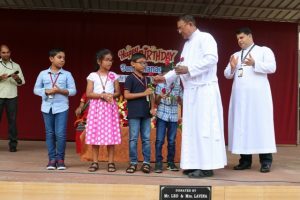 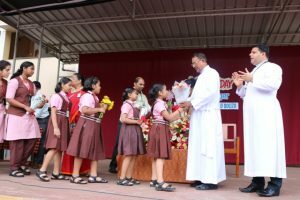 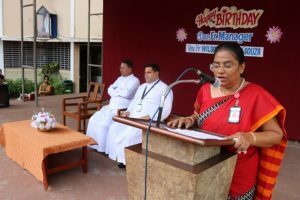 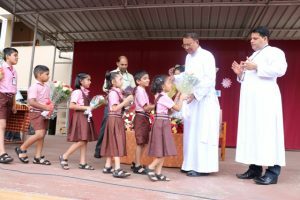 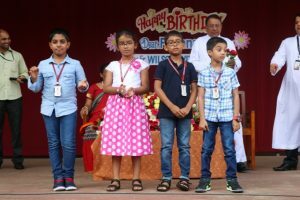 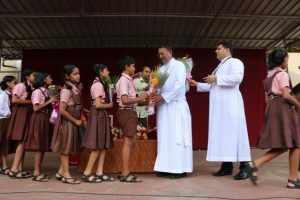 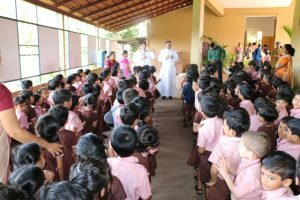 On the sunrise of 15-06-2017, Lourdes Central School celebrated the 73rd Birthday of Fr. 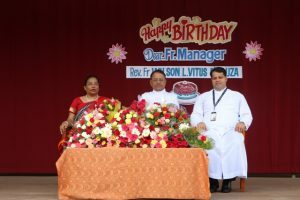 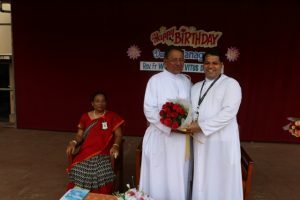 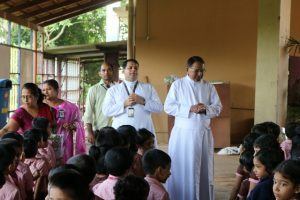 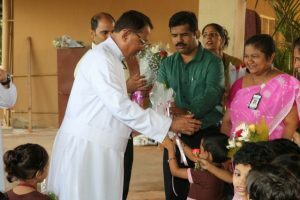 Manager Rev.Fr.Wilson.L.Vitus D’Souza. 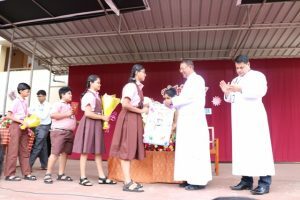 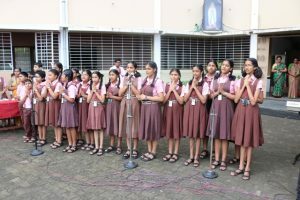 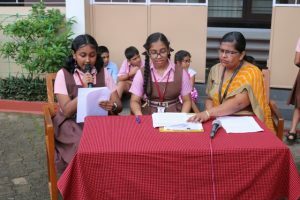 The entire celebration was compeered by Kshama Bhat and Vailusha of class 10 C.
The programme began with the prayer, followed by Vice Principal, Ms.Belita Mascarenhas welcoming the address. 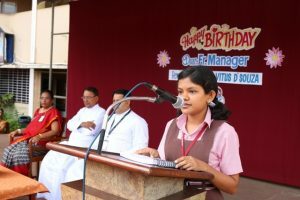 Then Ayushi of class 12 B greeted Fr.Manager on behalf of all the Lourdites. 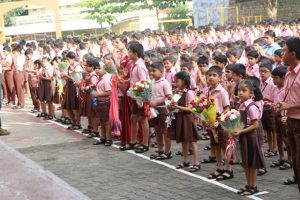 It was a beautiful sight to see the class representatives of each class greeting Fr. 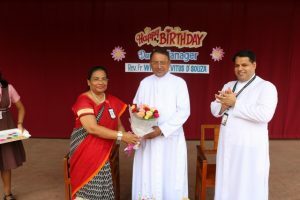 Manager with a bouquet of colorful flowers accompanied by the Birthday song sung by the choir. 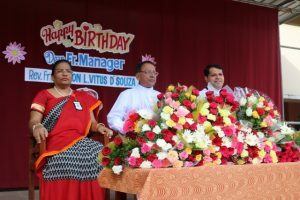 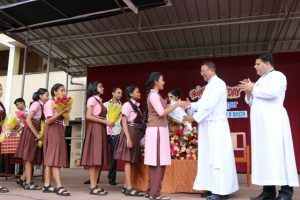 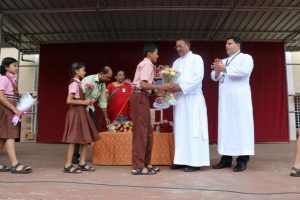 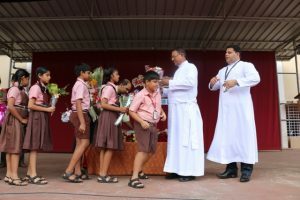 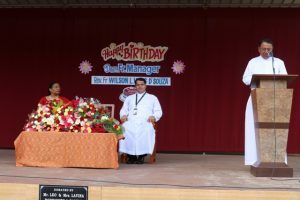 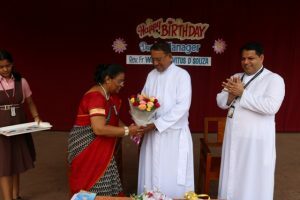 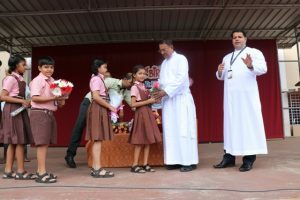 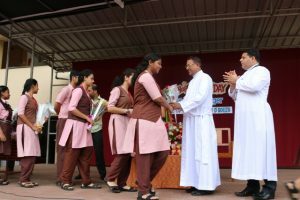 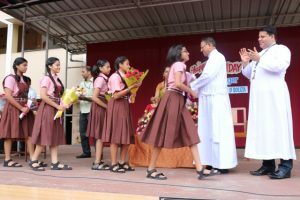 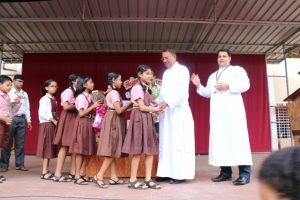 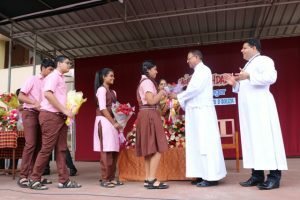 The captain of Lourdes Central School, Principal, Rev.Fr.Robert D’souza spoke his mind about Fr.Manager and told how dedicated, loving and hardworking he is and how he worked every second to achieve his success. 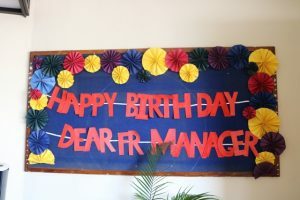 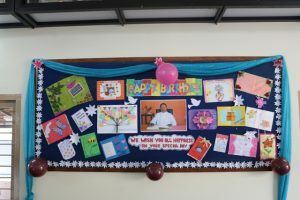 He further said that the bond Fr.Manager shared with his students was pure that even a kindergarten student would never fail to know the year he was born in. 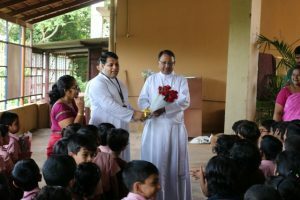 Then came the moment when Fr. 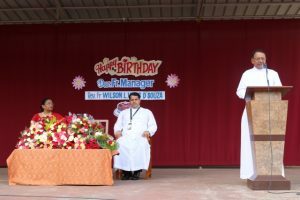 Manager spoke his Gratitude and thanked everyone for partaking in his joy. 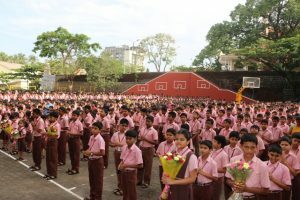 The celebration ended with the School Anthem.